Even with average new car prices rising to more than $35,000, it’s still possible to find plenty of choices below $30,000, many with bells and whistles of pricier rides. Yet so many options can make it hard to choose. To help you with your research, we combed through expert opinions, customer reviews and brand listings on 2018 models to come up with highly-rated new vehicles with a base MSRP under $30,000. 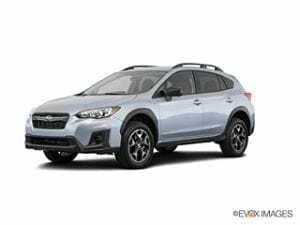 The 2018 Subaru Crosstrek is a cross between a compact SUV and a hatchback. Like most Subarus, the Crosstrek is excellent for rainy weather and all-wheel drive comes standard. Automatic drive, however, is not standard and costs about $1,000 more. Kelley Blue Book (KBB) rates it 4.7 out of 5. Consumers on Edmunds rate it 4.5 out of 5 stars. 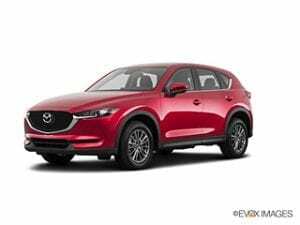 A compact crossover SUV, the Mazda CX-5 features a plethora of tech: blind spot monitoring, “infotainment” voice command, rearview camera and a touchscreen come standard. It achieves 31 mpg overall. KBB rates it 4.7 out of 5 and consumers on Edmunds rate it 4.4 out of 5. Unlike some of our favorite cars under $20,000, the CX-5 has standard automatic drive. With a powerful engine and third-row seating, this Chevy has the horsepower and the space to carry seven passengers. 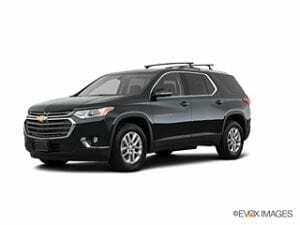 The Traverse comes close to our $30,000 cutoff. The price is largely because of its size. The base model is a manual drive and some bells and whistles like tire-pressure monitoring are included as an upgrade. KBB rates it 4.5 out of 5 and consumers on Edmunds rate it 3.7 out of 5. 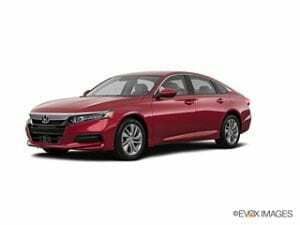 Standard driver safety aids and upscale materials and styling, such as small item holders and a spacious trunk, make this mid-size sedan more upscale. It achieves an overall fuel economy of 33 mpg to boot — you could upgrade to the hybrid for better gas mileage for about $1,500 more. The Accord is rated 4.7 out of 5 by KBB and 4.4 out of 5 by consumers on Edmunds. 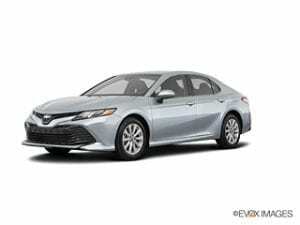 Redesigned for 2018, this midsize sedan is the eighth generation of the Toyota Camry. It features a longer wheelbase, gets excellent gas mileage and is available as a hybrid. (The hybrid’s starting MSRP is $27,950.) KBB rates the sedan at 4.7 out of 5 and consumers on Edmunds rate it 3.5 out of 5. 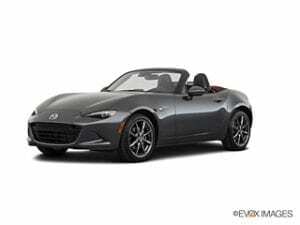 Mazda’s catch phrase of “zoom-zoom” is exhibited by the Miata in spades. It may not rumble and roar, but it can zip around a corner before you realize it passed you. The base price of $25,295 is for a “sport” model with manual transmission. KBB rates the convertible 4.7 out of 5. Consumers on Edmunds rate it 4.5 out of 5. 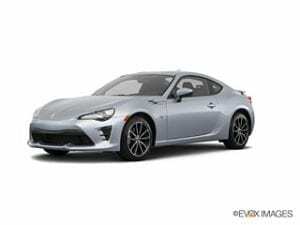 A lightweight coupe with plenty of horsepower despite a four-cylinder engine, the Toyota 86 won’t beat a V-8 in a drag race, but it has slightly better gas mileage. KBB experts rate it 4.6 out of 5; consumers on KBB rate it 5/5. A stylish coupe, the 2018 Subaru BRZ is similar to the Toyota 86 but offers more tech, including a seven-inch touch screen and Apple CarPlay/Android Auto. KBB rates it 4.6 out of 5. Edmunds consumer reviews rate it 4 out of 5. Also capable of 50 mpg fuel economy, the Kia Niro is quicker than the Prius. With low ground clearance, it’s more of a hatchback than an SUV and it’s available as a hybrid and a plug-in hybrid (for a base price of $27,900). 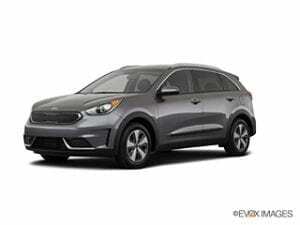 KBB rates the Niro 4.4 out of 5. Consumers on Edmunds rate it 4.6 out of 5. This famous hybrid vehicle is capable of 50 mpg fuel economy (and up to 133 MPGe if you opt for the plug-in Prime) and has one of the lowest five-year cost-to-own ratios and a five-star safety rating. KBB rates it 4.4 out of 5. Consumer ratings on Edmunds give it 4.9 out of 5. 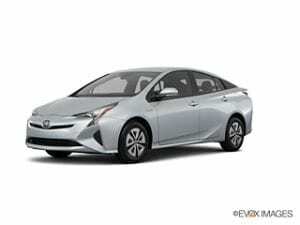 Even at higher trim levels, the Prius stays well under the $30,000 mark. Potential lenders include a credit union, bank or online lender. Apply to a few in order to compare offers and see which one is best for you before stepping foot onto the car lot. Dealers are often able to raise your APR and make a profit off your loan, not just your car. The best way to avoid this is to go with a preapproved auto loan in hand, so you know what APR you deserve and you can ask the dealer to beat that rate. On LendingTree, you could fill out an online form and receive up to five potential auto loan offers from lenders at once, instead of filling out five different lender applications. To qualify for our list, a vehicle’s lowest MSRP for the standard trim had to be under $30,000 at time of publication. It had to be rated 4.4 or higher by KBB and 3.5 or higher by consumer reviews on Edmunds. Car prices are as of December 2018.